Tenza has registered copyright of her songs with Copyright House. Tenza was born in Kempshot of Montego Bay, Jamaica. She and her 14 siblings (5 sisters and 9 brothers) grew up in a life of disappointment, hardship and struggle. As a result of this she learnt to truly appreciate her blessings. Her considerable musical talent is a blessing she definitely does not take for granted. At the age of 14 she left Jamaica and moved to Slough, England. She found it very difficult to adjust to the new culture and she considers this time to be one of the most difficult of her life so far. Tenza started attending the Slough Youth Centre and by attending singing classes, dance classes and entering competitions she was able, once again, to follow her passion for music. It was only then that she started to settle down and make new friends. Reggae and Dancehall music has always been an intense passion for Tenza. It was the sounds of Bob Marley, Beres Hammond, Yellow Man, Bounty Killer, Lady Saw, Denis Brown, Beenie Man and Super Cat that empowered her during her upbringing in Jamaica and they have gone on to be massive influences in her musical career. Her talent combined with guidance from mentors and management such as Douglas Gregory, Errol Fenton, Mr Othman Muhklis and James Williams soon resulted in her becoming a member of Fya – a female dancehall group signed to Def Jam. Fya enjoyed much success and had many Gold selling hits, such as ‘Must Be Love’ and ‘Too Hot’. Tenza, now a solo artist, re-launched her career by performing at a number of UK musical festivals and completing hugely successful tours of Sweden, France and many other European countries. She released her first official single, "No Behaviour", in 2011. When the single was released it moved swiftly up the charts and was heavily rotated on FM and internet radios across the globe. “No Behaviour” was a track taken from her debut solo album "Wicked Like Me" which features productions from top European and Jamaican producers and collaborations from Terro 3000, Macca Diamond and many more. 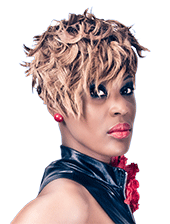 Not only is Tenza a hugely talented singer, songwriter/composer she also runs a recording studio. She uses the studio for her own work, as well as for younger producers and singers to give them a good start in the music business. She has had articles written about her in newspapers such as the Jamaica observer, Jamaica star and in many internet sites and international magazines. Tenza will continue to make great music for every musical ear, "With a clear deliverance, she spreads a universal message of truth, love and righteousness."